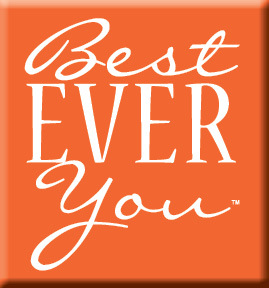 The Best Ever You Network - Ask Elizabeth! - How Can I Share the Love in Social Media? Many of us feel so connected at times and also so disconnected at times in social media. One quick glance at someone's absolutely, what appears to be perfect, day can be completely discouraging if you are the one feeling sad, lonely, disconnected or less that outstanding in that moment. It could be tough, for example, to be in the middle of a negative degree day or a ice storm and suddenly see someone's beach post. It's important to remember that social media is for sharing and that not everyone is in the exact same place at the exact same time and moment. If we get stuck in the comparison game, it can surely become frustrating. More and more people are using social media also for business. We see many implementing their dreams or helping promote a cause or business in various ways and hoping you will suport them. Often it's with awesome heart, gratitude and intention, rather than a big budget that people use social media. You may even find people are working 1 or 2 jobs behind the scenes to support their real goals. So please pay attention and be aware of others in your social media circles. You may have met for a reason. Explore what that is. Social media is an incredibly inexpensive and highly engaging, effective way to boost a platform in the making. Here are ten ways you can share your love in social media. 1. Like someone's fanpage in facebook and share it with others.. Do you know how important you are to someone who is branding themselves, selling a product, starting a business or so forth online or otherwise? Your like is very meaningful and appreciated. It can be an additional step forward to not only like the page, but to also share it in your own social media so others see it. Those share functions are on the right side of the page under the banner area of the page. 2. Like and/or share a post in facebook or linked in or retweet a tweet. This is the power of social media and how things get passed around on the internet. This is very similar to telling someone in person about a new product, book, place to eat, movie you liked, etc... When you like, share or retweet, your whole audience sees that now also. Without your engagement and awareness, only the original crowd will ever see the post or tweet. Visit other peoples' pages and tweets in your social media often and share their posts with your audience. It also builds trust within your social media circles and you'll soon find others will do the same with your posts and tweets. Build a network of trust. 3. Place a comment on a blog and social media posts. How often do you write a post and say to yourself, "I wonder if people will actually read this?" We do this a lot. How often do we, as the comment creators hesitate to post a comment or our true feelings? If you have time, it is also very meaningful to others to place comments on blogs and other social media posts. The rule being, however, to not be negative or offensive. Stay positive or stay quiet where and when possible. Comment on blogs and social media posts when you can. It keeps the posts active in social media so others see them. 4. Share a blog in social media. Most blogs these days have social media share buttons on them. This means you can share a blog in your social media or forward the post to a friend via email. You can also comment on the posts (see #3 above.) This is a very common way that blogs are passed around on the internet, especially for blogs that are not syndicated on larger sites. Read, share and love blogs - energy and thought go into them. If you are the blog owner, moderate comments and approve before posted. This will prevent spam and negativity. 5. If there are ads on a website you like, click them a few times. The site owners get revenue for your clicks. Did you know that when someone has ads posted on their site, they get small amounts of revenue when you click on the ads or purchase something from the ads? Think of it like a newspaper ad or magazine ad only on the internet. Also, some ads are good and some ads you wish would go away... If you can, click... You will notice ads on Blogtalkradio.com for example and other websites and blogs. The sites sometimes run entirely by this revenue or are the advertiser has placed the ad on the site and is monitoring it for how well it is going by clicks. 6. If someone posts or does something you disagree with, refrain from any negative comments or posts. Seldom do oodles of negative comments do anyone any good. This includes posts created to tell someone about an injustice you feel, the behavior of another person and so forth. Negative posts serve a very good purpose when warning us about something genuinely harmful, etc... Know the difference between that and bashing, harassing or bullying. If you don't have something positive to say, don't say it or if you wouldn't say it to the person directly don't say it. Take responsibility for your words and actions. Also if you do post something negative, sign your name. Love is there somewhere. You may need to look to find the love and gratitude. Consider speaking with the person directly by phone or in person. 7. Send out a tweet and include others using the @ function and check your @Connect function. Being on Twitter isn't very useful if you are just posting and not engaging anyone else. If you look at someone's twitter feed and they do not retweet or mention anyone else, I usually steer clear of the account. It might be linked up to a facebook account that is just posting information and not really being used interactively. With that said, check your @Connect function often and to include people in your tweets so they see it in their @Connect function, use @Username (@BestEverYou) for example. 8. Go the extra step and include new people. Make an introduction. In social media, it is important to connect the dots. If you know someone who might like the information someone else is sharing, introduce them to each other. In Facebook and LinkedIn you can easily tag others and in Twitter you can use the @Username/(@Connect) functions. Hashtags are a great way to also find like-minded people. Search #topic on Twitter and you will see others tweeting about the topic. Twitter also has trending topics (#s). 9. Tell 10 people about someone or something you saw in social media and ask them to tell 5-10 other people. Word of mouth is so helpful. Ask people to help pass along the information to others by sharing it in their social media and then asking those reached to share it in their social media. It's how things go viral. it's how information is passed along. 10. Subscribe to someone's mailing list. I'm not a big fan of being bombarded and blasted by email after email from someone's website, blog or otherwise unless it is a special event and something I'm genuinely interested in. Subscribing to someone's newsletter and clicking on a few of the links can be very meaningful and a very huge gesture to the creator of the item. What may seem like a 'no big deal' to you, is a very big deal to someone else. With Brian Hom, she co-founded the Food Allergy Zone to find a cure and the cause of food allergies and she is a spokesperson for FAACT - Food Allergy & Anaphylaxis Connection Team. 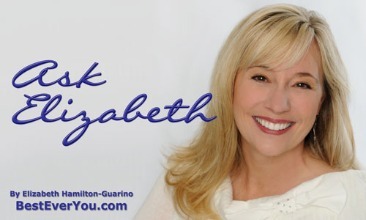 Elizabeth has a degree in communications and broadcasting and also works as a business and life coach. 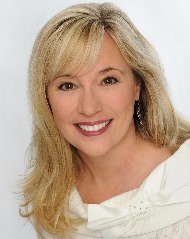 Elizabeth is a social media expert with an emphasis on business consulting, transitional growth and change, social media compliance and platform development. She lives with her husband and four boys in Maine. Visit BestEverYou.com for more information about Elizabeth’s work and passions.